There are instances when a surgeon may operate on a wrong site or part of the body. Such surgery errors may cause serious complications that may even lead to death. The situation is even more serious when the surgery involves invasive procedures that pose greater risks to patients. Errors may also involve such procedures as radiology and endoscopy. In spite of the serious implications of surgery errors, there was no formal system to address them in the medical fraternity until 1999. It was then that the Joint Commission on Accreditation of Health Care Organizations was established. The name was later shortened to the Joint Commission. The commission receives reports about surgery errors but relatively few cases have been reported since the process remains voluntary. Although there are no clear estimates of surgical error cases, it is believed that the reported cases account for only about 10 percent of the total number. Statistics also show that the highest percentages of surgery errors occur in orthopedic and eye surgeries. Surgeons who perform wrong side surgeries can end up losing their licenses because of the heavy penalties that state licensure boards impose. In addition, many insurance firms do not cover wrong site surgeries. Generally, errors such as these are accepted under medical malpractice claims. Statistics from the Joint Commission show that 79 percent and 84 percent of claims in eye and orthopedic surgeries respectively are approved and awarded. • Lack of relevant institutional controls for verifying the correct surgery site, which results from insufficient assessment of patients. • Insufficient review of patient records, leading to the use of poor checklists or no checklist at all. • Depending on one surgeon to determine the site of surgery or choosing a surgical team arbitrarily. Wrong side surgery is a controversial issue that tends to be concealed because health facilities are afraid of being stigmatized and even closed down. The increasing litigation procedures also make many people reticent to discuss wrong side surgery cases. Even though some people claim that numbers related to these types of errors are inflated, the fact remains that they pose serious risks to the affected patients. It is important for relevant governing bodies to take more stern actions and insist on compulsory legal compliance to improve the healthcare system. 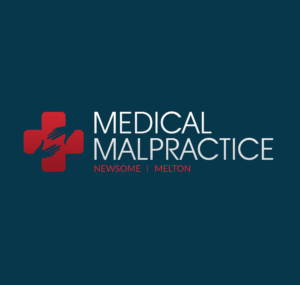 Anyone who feels they may have a valid medical malpractice claim concerning wrong side surgery are encouraged to contact an experienced malpractice attorney in their area to discuss filing their claim. Typically, medical malpractice or negligence claims have varying statute of limitations regarding when a person is no longer legally allowed to make a claim, making timely filing especially important.